Your potential clients have a lot of fears swirling around in their heads at the moment they’re making a buying decision. They’re thinking things like: Will I be wasting my money? Is this product/service going to work? Is there some kind of catch I’m not seeing? Will I feel like a fool for having tried this service? When your business stands behind what it offers with a solid guarantee, you calm these fears. Don’t be afraid to offer a guarantee that’s above and beyond what others offer. 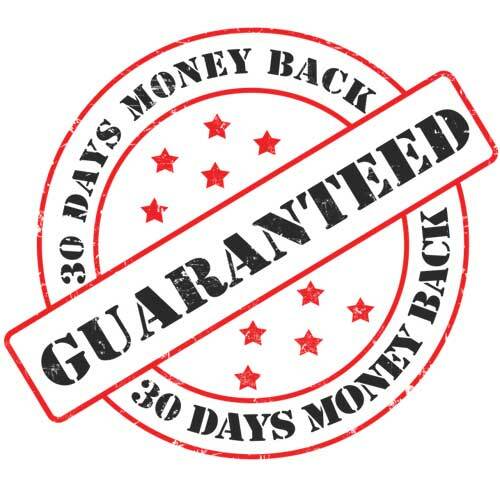 Offer a money back guarantee – scary! But if you are confident in what you do and the benefits you can provide your clients then this should be not be an issue to offer such a guarantee. The primary question is: what can you do to absolutely assure your client if something goes wrong you won’t abandon them or pretend they never brought from you in the first place? One bad testimonial can become a very rotten egg – so get to the stink before it smells out your business! You need to consistently engage with your clients and potential clients – this is why interactive features such as videos and competitions on your website and social media channels are a good idea. Engagement also occurs when you are upfront, real, and authentic with your clients: a heart-centred, values-based business that believes in the holistic health and wellness of its clients and is not there to just make a quick buck. The real test of your service is that when people talk about your service they don’t even mention the price, they simply rave about the solutions, outcomes and benefits they have gained from using your services! Authenticity occurs when clients knows who is BEHIND the service – who are you, why was this business started, why do you have a love for your health and wellness modality. You need to write about YOU (and the others in your team) in the first person to make you personable and approachable. Writing in the 3rd person makes you sound more distant and elitist. Hi, my name is Michael Whang and I love to surf our beautiful beaches here in California. Having suffered a knee injury in my early 20’s which is now fully rehabilitated I know that I can help you with your knee challenges so that you too can get back to things you love to do in the great outdoors. Offer a monthly email newsletter/e-news on your area of expertise. Have an opt-in button on your website for people to register their name and email so that you can build your list (yes, it is true ‘the money is in the list’). Provide an incentive to opt in through offering a free downloadable product such as a mini How to Guide or an ebook or a video clip demonstrating some aspect of your services. Include a promotion in your E-news such as: book your physical therapy session by the end of April and you will get a complimentary set of our Deck of Exercise Cards [this could be a set of 20 action cards with a range of different exercises clients can do and that it involves just using equipment from around the home]. What problem do my business services solve? What do my services help the client avoid? What does it help the client get more of? How can I best make that clear? How can I go about proving my solutions does that? How is my solution different to all the other solutions in the market already? Your responses to these questions need to be included in your website content and across your social media channels and other promotion – remember the different types of format (written, visual, aural). The best value for both you (in terms of time, effort, and convenience) and your financial return in the business is when you create packages. Offer packages which can be labelled in several ways – get creative around the names of the packages being related to your health and wellness modality. If, for instance, you had silver, gold, and premium packages then silver is the basic, gold is silver plus more, and platinum is gold plus more again. And stack the value as you go from silver to gold and gold to platinum. If the gold package is 20% more expensive, then make sure it has 40% more value. Always add-value: a recipe book (dietician), a footcare package – foot spray and sweat-absorbing socks (podiatrist), a complimentary annual membership to our online club (hypnotherapist). Form strategic alliances with services and products that are complimentary to the services and products offered by your business. Strategic alliances are a very powerful and cost-effective way to grow your business networks and thus add people to your email newsletter list, facebook page etc – which can lead to more clients wanting to purchase your services. Think outside the square when it comes to strategic alliances. For example, a Life Coach and Pilates Instructor could offer a partnership package (a coaching session to STRETCH your MIND and BODY. What questions do you find yourself answering over & over again either in client emails or in conversations with clients about your health and wellness modality? Keep a written list of these questions – write responses to them and post up on a frequently asked questions page on your website. You can feed these questions through your social media channels – and be asking potential clients what other questions they have. You could also put the responses in a written sales letter as well as a video or audio sales letter. Your difference must be demonstrated, it’s not enough to say, ‘I am different’, you must show it! How can you demonstrate the DIFFERENCE: in a video? Show your services, do a ‘walkthrough’’. For example, conducting a one to some session with a client, filming the questions asked, and with how you and the client are responding. Understandably there are confidentiality issues – so you could use a mock client using questions and response extracts from various sessions you have done with client. In the video introduction, you need to explain this.